My niece's birthday is coming up soon and she's an amazing girl! So I got her a little gift which is very nicely wrapped but I want to give it to her in a really cool girly bag. 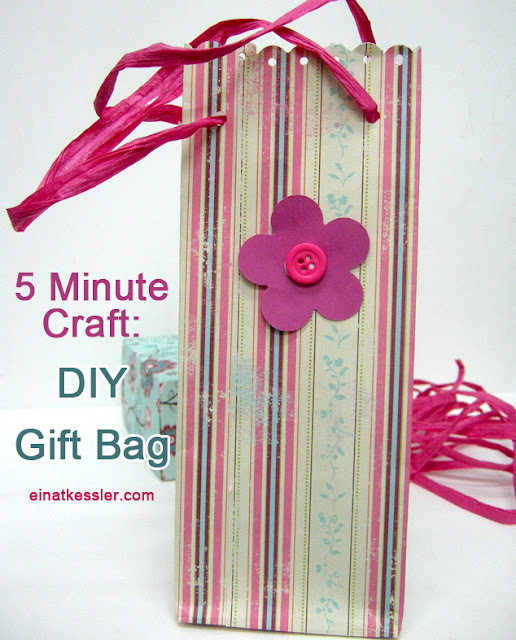 Instead of buying one I'll show you how to create a gift bag in only 5 minutes! You don't need any fancy scoring board for gift bags, you only need a paper and a box or a book. Match the size of box/book to the size of your gift and then you'll be sure it'll fit. If a 12x12 paper is too small then use a larger patterned paper or a kraft paper that you can embellish later.